by Marc Shapiro | Biographies & Memoirs | This book has not been rated. This book was purchased from the Citizens for the Charles County Public Library, Inc. (C4CCPL) Used-Book Store, located on the lower level of the La Plata Branch Library. Citizens for the Charles County Public Library, Inc. (C4CCPL) is a non-profit, all volunteer group dedicated to expand public awareness and support for the Charles County, Maryland, Public Library system. I got this book back April 19th, 2008. They ended their big week long sale by selling books for $1 per bag. I got 15 bags of books that I can register and release and many of them will be headed to the International Day of the Book Festival in Kensington, Maryland on April 27, 2008! One of my favorite features of BookCrossing is the opportunity to track books where ever they may go. We just moved from Waldorf, MD to Bolling Air Force Base in Washington D.C. and it is time to update each book's location and make sure that we have located each book after the move. I am trying to set the status of all my books to be correct at this time. Permanent Collection (PC) means that I plan to keep this book for the foreseeable future. Available (AVL) means that I have read the book or don't desire to read the book and it is ready to move on in some fashion. To Be Read (TBR) means that I plan to read it (at least someday) and after I read it I will decide what to do with it. I reserve the right to change my mind at any time! This book was read in December 2011. I picked it up because I wanted something quick to read and this seemed to fit. I finished it in just a couple of reading sessions. 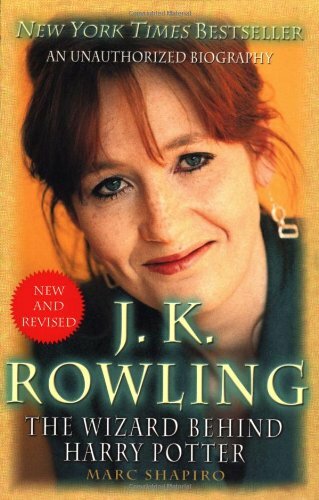 This book is a good look at the life of J.K. Rowling but since it was written during the middle of the Harry Potter craze (between Books 4 and 5 I believe) it has some information that is lacking. Especially in the parts that talk about how her popularity skyrocketed and it made it harder and harder to write without interruption. I'm going to send this to KateKintail because I know that she will enjoy finding it a good home. Mailing from Tecumseh, OK to Virginia! Taking this with me on my trip to the UK to wild release! I finished reading this book while on vacation in the Lake District of England. I found it to be a very interesting look at JKR's life. I am a fan of Harry Potter, but there were a couple stories in this book I had never heard before, and I really enjoyed this look at JRK's life before and during the Harry Potter craze. 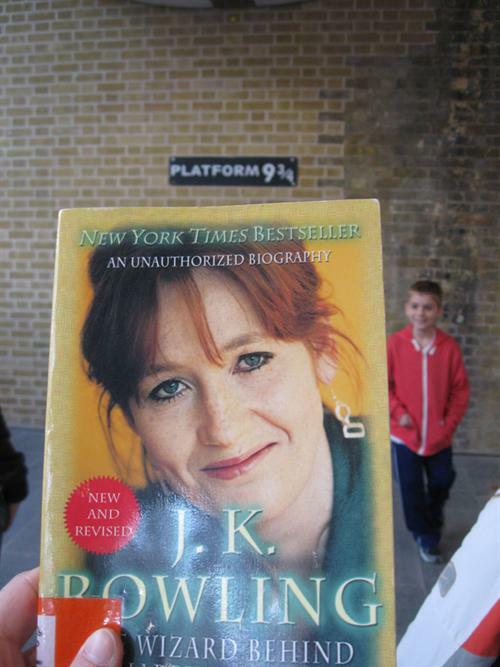 I brought this to "Platform 9 3/4" at Kings Cross Station, and gave it to my Harry Potter bus tour Tour Guide.